Twenty two years of pioneering pop music, St Etienne return to Liverpool tonight at their sellout Kazimier gig they tell Getintothis’ Jamie Bowman ‘we’re still music fanatics. Saint Etienne’s back catalogue is filled with so many nuggets of brilliance it’s no wonder they’ve released four different greatest hits compilations. For over 20 years they’ve gone from indie-dance innovators to proto-Britpop pioneers and now seem to be settling into their role as curators for a very British type of retro-futurism which continues their love affair with London, nostalgia and the wonder of pop music. There has always been something inherently wistful about the band’s music and now the band has turned their obsession with pop’s musical history into an art form with a new album Words and Music which conceptualises that moment when you realise you’re not just a music fan but a music fanatic. ‘I keep harking back to when I was 14 or 15 and had just started buying records,’ says the band’s Pete Wiggs. ‘That initial power of being hit by new stuff whether it’s from the present or past. ‘We always had a dual thing abut trying to get the latest stuff and discovering new things from the past. Along with Bob Stanley and Sarah Cracknell, Wiggs has stuck to this manifesto ever since Saint Etienne‘s debut single, a cover of Neil Young‘s Only Love Can Break Your Heart, which still managed to become a dance classic. It’s there in the way they can work with the likes of Girls Aloud‘s production team Xenomania but still release songs like Popular on the new album which name checks Slade and concerns obsessing about which song is at number one. ‘We have spent a lot of time over the last couple of years digging through tapes for our reissues which gave us a creative spur and made us reflect on our past,’ says Wiggs. ‘It brings back all the memories and reminds you what you were doing at the time. Your life to a certain extent has been documented – it’s like having a family album without all the embarrassing photographs. Wrapped in a beautiful sleeve, which swaps Wiggs and Stanley’s Croydon hometown street map for one full of musical place names like Penny Lane, Love Street and Spronston Green, the album is full of teenage reminisces. So what was the music which made the impact on the youthful Wiggs? ‘The first real band I got into was Joy Division and I was really into New Order and the Fall after that. Part of the appeal was that Bob and I weren’t into the same stuff as other people at school and it was like this alien world which was ours‘, says Wiggs, warming to the subject. ‘It was hard to find out information about bands. Joy Division seemed really mysterious because of their photographs and amazing artwork. ‘With The Fall it was the same and I loved Mark E Smith‘s lyrics – they were totally original and it was this parallel universe you could lose yourself in. It’s a story that beautifully encapsulates Saint Etienne themselves – a nostalgic tale about the rush of teenage record buying combined with a record so forward thinking it still sounds groundbreaking. 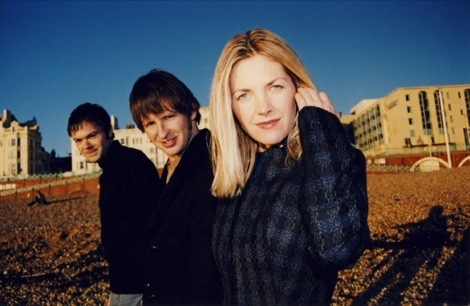 Twenty two years into their career it’s a place where Saint Etienne can call home. St Etienne play the Kazimier tonight. And in the meantime, here’s a nifty little summer mixtape they’ve put together for us. Enjoy!